When you look in the mirror, what do you see? 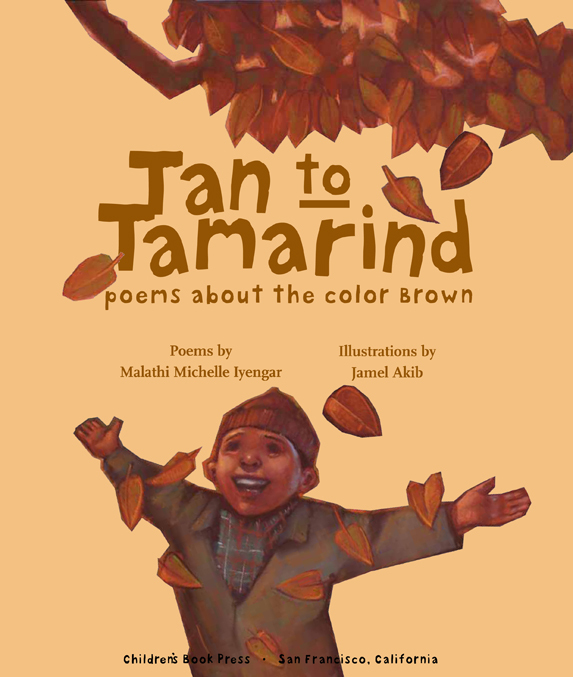 Tan, sienna, topaz, or tamarind? 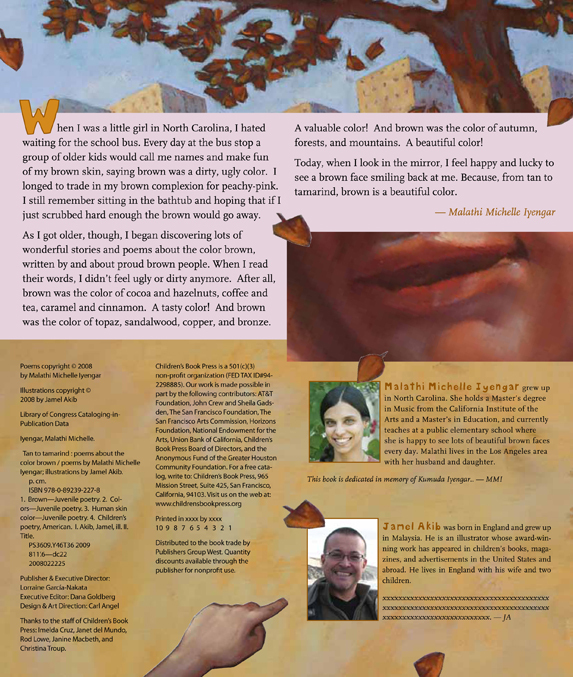 Poet Malathi Michelle Iyengar sees a whole spectrum of beautiful shades of brown. 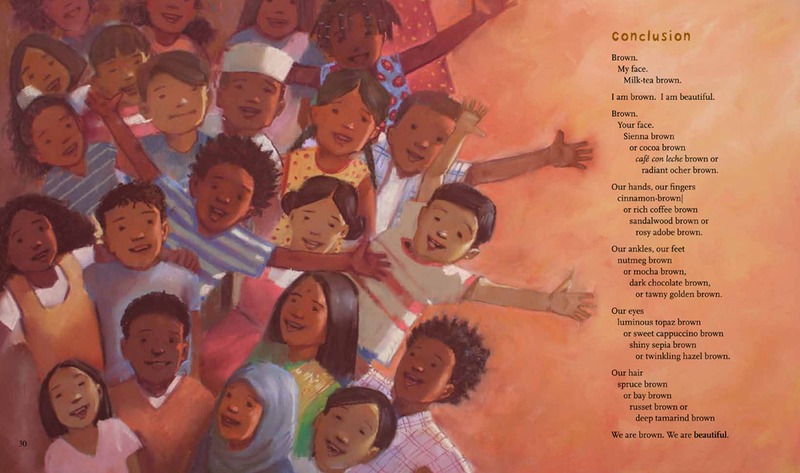 This warm and inviting poetry collection helps young readers discover that no matter what your skin tone, every shade is beautiful.